I signed up for a NerdBlock subscription for January. NerdBlock is a monthly subscription of geeky toys sent to your door. You can get t-shirts, toys, blind boxes, candy, and other geeky things. 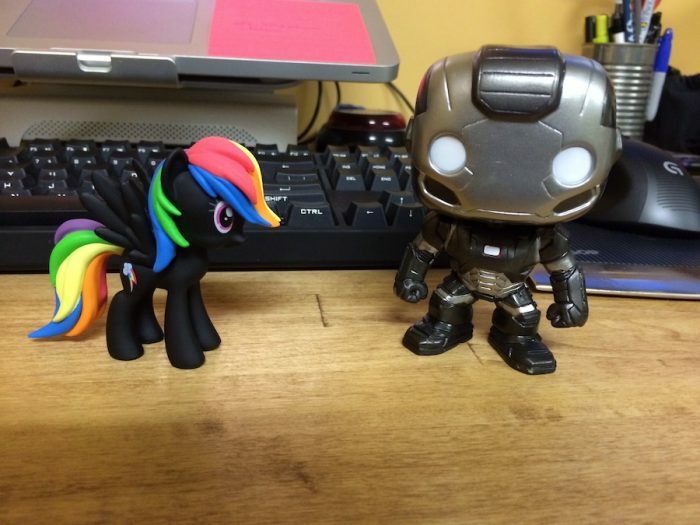 Overall, I like the t-shirt, the Ironman bobble-head is cool, and the My Little Pony figure is nice. The other two items are lame and just filler junk in the box. For the $30 cost of the subscription ($20 + $10 shipping), if this is what NerdBlock thinks is good, I don’t want another box. Subscription cancelled! I’m going to wait a few months and watch Loot Crate. If it’s still looking good, I may sign up.